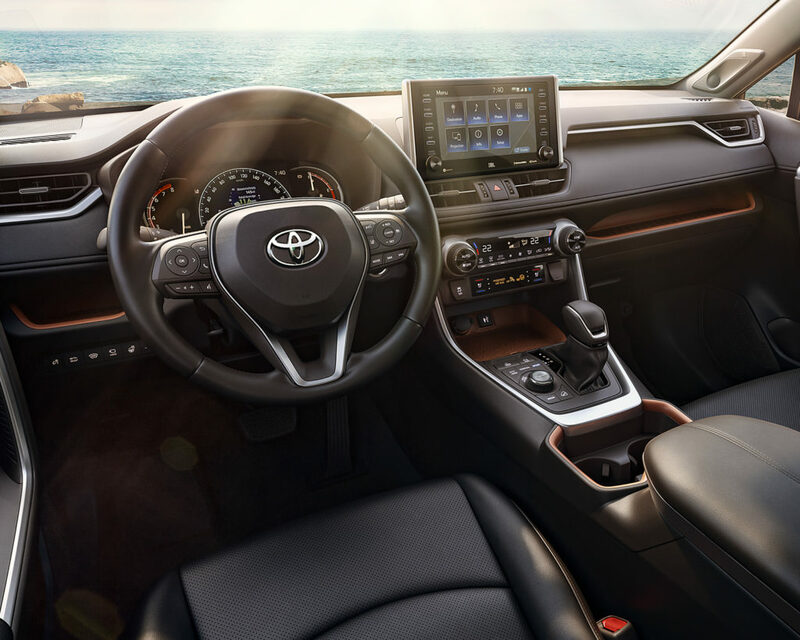 The all-new 2019 RAV4 ignites your desire to explore. With a variety of models to choose from that are as unique as you are. 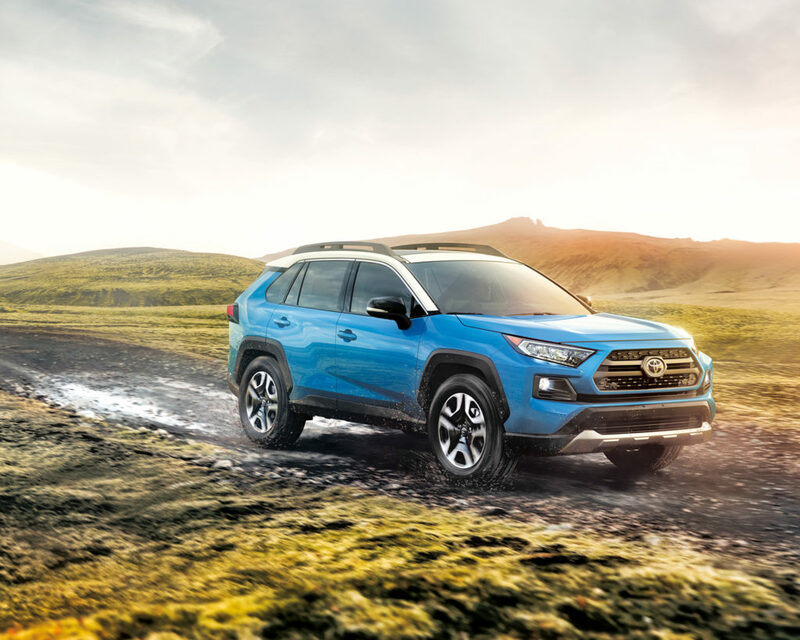 Including the robust and refined RAV4 Limited, the tough, off-road ready RAV4 Trail, and the powerful and sporty RAV4 Hybrid. Journey further. SQUEEZE MORE OUT OF MODERN LIFE. that await you so that you can realize your full potential in every moment. 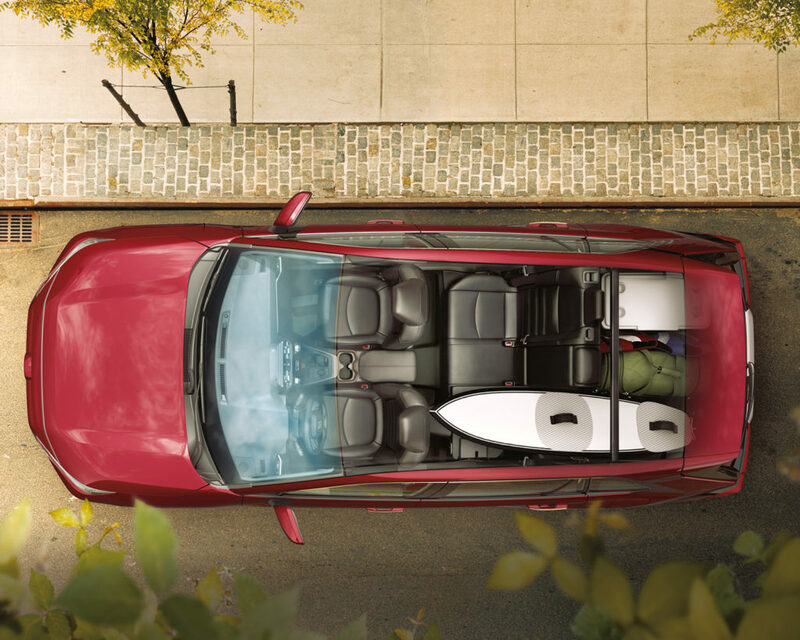 RAV4 empowers your ambitions and redefines what you can do. Designed to excite, the sporty RAV4 Hybrid is draped in stylish black accents with black wheels, two-tone black roof, and black headliner. And with the LED projector beam headlights, you’ll own the night and slice through the fog. Inspired by Toyota’s off-road heritage, RAV4 AWD Trail offers next-level power and performance. Its rugged features include 19” aluminum alloy wheels, Trail body mouldings, Grille Shutters, unique bridge-type black roof rails, and exclusive orange interior accents that are sure to make a lasting impression. distances to give you improved fuel efficiency.